Lately, I’ve read quite a few posts on procrastination. It was as if the universe was saying “get busy Kathy!” because I’ve been the queen of Procrastination Land in at least one area of my life. 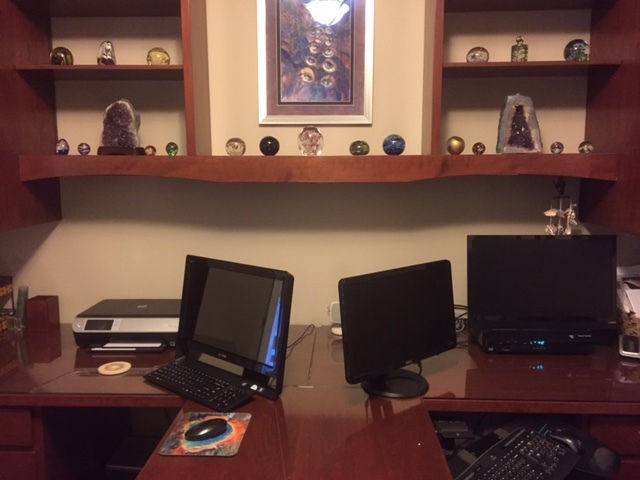 My home office has been an overwhelming mess of papers that need to be sorted and filed. Months and months of papers stacked on the desk. Neatly stacked but stacked none the less. I’ve told myself over and over that “this is the weekend I’ll tackle that office”. But it hasn’t happened. Today necessity was the mother of “Git Er Done”. Last night our ice machine decided to defrost itself. In the last two months, we’ve had to have our oven repaired and our dishwasher replaced so it wasn’t surprising to me that the ice maker decided to go bad. Things tend to happen in threes in my life. But, this ice maker is the second one we’ve purchased since we remodeled the kitchen. It is less than a year old, still under warranty. I needed the receipt and exact purchase date. Remember those piles of papers? The ones I’ve been ignoring for months? I had to find that receipt. Necessity meet Git Er Done. Early this morning I started sorting, filing and shredding. 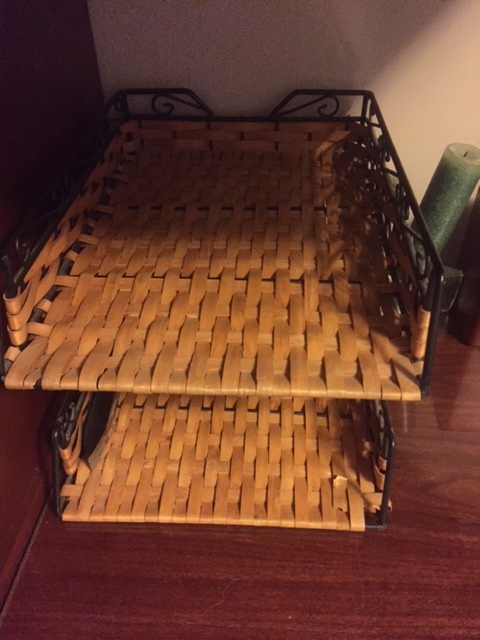 This is my paper sorter,piler, filer thing. Early this morning it wasn’t visible. There were papers in it, on it and around it. Now, there aren’t. Now, my desk is neat and clean. I keep walking in and out of the room just to admire it. Don’t mind the crack in the desk glass on the left. That happened when someone ( ahem) tried to lift the glass to clean under it. Someday I’ll replace it ( there seems to be a theme here). I found the receipt and scheduled the repair on the ice maker. 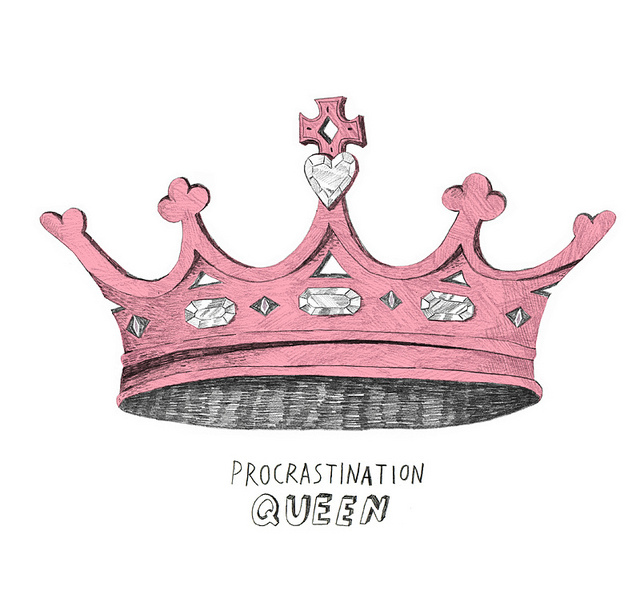 I’ve abdicated the throne of Procrastination Land and given back the crown jewels. But, lest you be jealous of my awesome organization and stick-to-itiveness, I’ll ease your mind……. 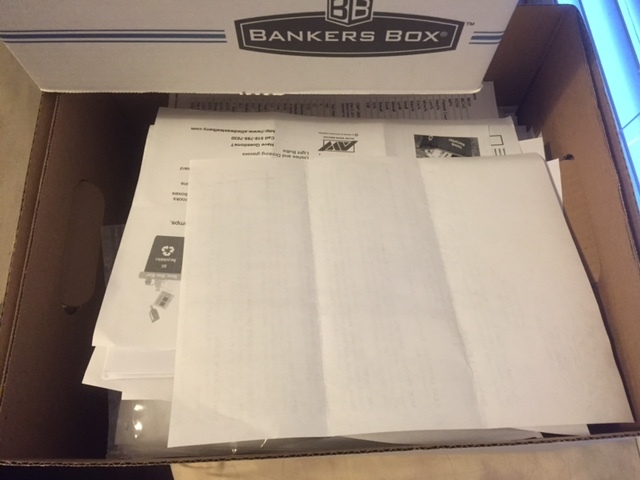 I still have a leftover box of papers to file.